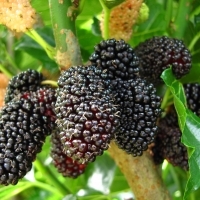 Daleys Fruit Tree has Plants for Sale to Springfield Lakes and can Mail Order them to you door. Click to Find out how much Freight Will Cost. 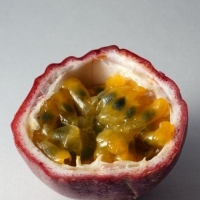 Known to be the tastiest of all the Passionfruit varieties, the pulp varies in colour from bright yellow to pumpkin colour and has many small, hard, black, seeds. The inside wall of the Misty Gem is white. 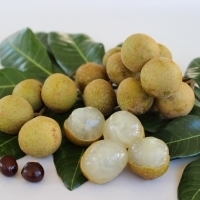 The flavour is refreshing, guava-like and tangy. Eaten by spooning directly from the shell, the pulp can be used on Pavlovas, cheesecakes, fruit flans and icings. Only available to commercial growers. 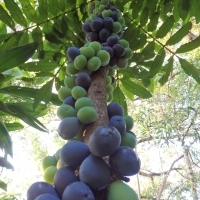 "This variety is owned by APIA and cannot be propagated without permission"